For now, I'll just announce the COM for March and reveal the fabulous makeup loot courtesy of Shiseido for this month's commenter. **Congratulations, dear. Please send your full name, complete address, and mobile number to martha.stabarbara@gmail.com. Claiming of prize is good for 5 days only. Oh my Goodness... Shiseido goodies is heaven sent... I've been eying on the Perfecting Stick Concealer. Ms. Martha is so generous when it comes to sharing products to her loyal reader...Excited for April's COM, a very lucky commenter! Marthaaaaa thanks v much ❤️ not sure what to say I'm so happy. Just in time for my college graduation this April, this is truly a beautiful gift! always happy to see successful bloggers around. passion for writing and the benefits are only it's perks. :) thanks for the inspiration! I've been a follower since 2012 but seldom to join COM giveaways since i feel like the winning stuff is not belong to my age bracket (hahaha) but when I saw your shiseido as a prize...OMG! how could I resist this amazing brand. I've always love Shiseido..this is my holy grail in terms of beauty and skincare products. How I wish I could have them. I've been a follower since 2012 and seldom to join your COM giveaways since I feel like the winning stuff is not belong to my age bracket (hahahaha) but when I saw your winning prize...OMG! how could I resist this brand. I've been in-love with this brand, my most trusted product brand, my holy grail in terms of beauty and skincare. Wishing hoping I could have them. Thank you for being awesome!! You're such a nice person :) Before, I'm not really conscious about health & beauty.. or even fashion. Thank you very much for writing beauty blogs!! :D They really helped me a lot. I've always wanted to try Shiseido because of all the rave reviews but can't due to the steep price tag. nice one...i would love to have these goodies! P.S. The "I am not a robot" checkbox at the comment section cracks me up! LoL! Omg Shiseido products!!!! I havent tried them yet but I already read a lot of raves about this product. Hopefully I get the chance to have those. Happy 6th anniversary Ms. Martha! You are a big influence to me and to all the beauty junkees out there! Cheers to more beautiful years! I can't pass this up! Ohhh..please let me be your amniversary winner! Wow! what an awesome prize! I can't believe I've been following this blog for so long! Advanced happy 6th! Oh my G! I got too excited. 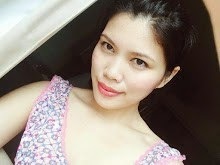 I have been reading your blog entries MS. M. as in everyday! I work night shift, so if others drink coffee to start their day, i start my day by reading your blog! Ps. Because of you i discover ZA! Now it is my favorite! congratulations! i would love to win these too! God Bless to your blog! Thank you for creating this blog, Martha. You have given great advice on how to use makeup. I also the photos you post on products that you recommend. Keep it up! Wow I only read this today! I wanna try Shiseido products but I don't have enough budget for them. Hoping I can win!